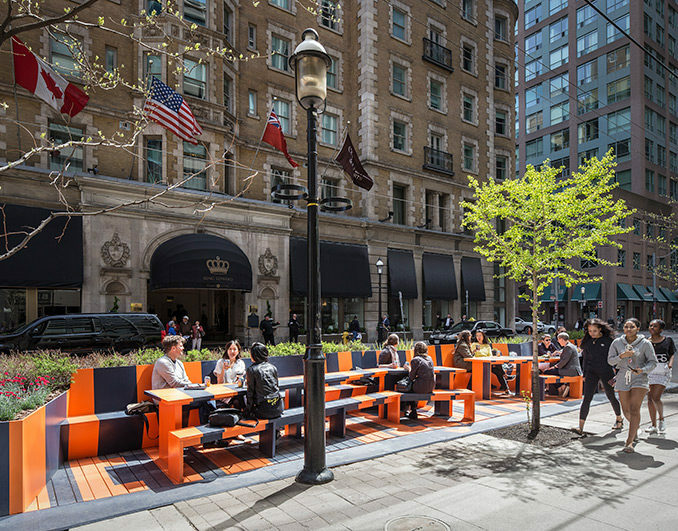 The City staged its concurrent ‘Everyone is King’ Design Build Competition to create streetscape-animating curb-lane parklets along the 2.5-mile Transit Pilot stretch of King. 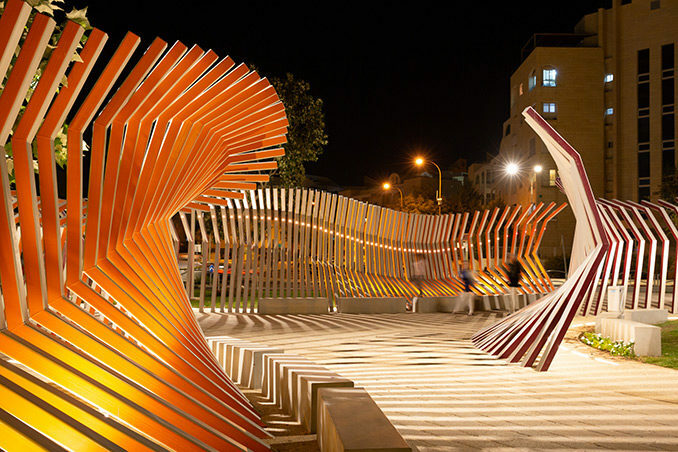 Face to Face / Tête à Tête, one of the winning parklet designs, transforms a couple of curb-lane parking spots into a concentrated conversation zone. 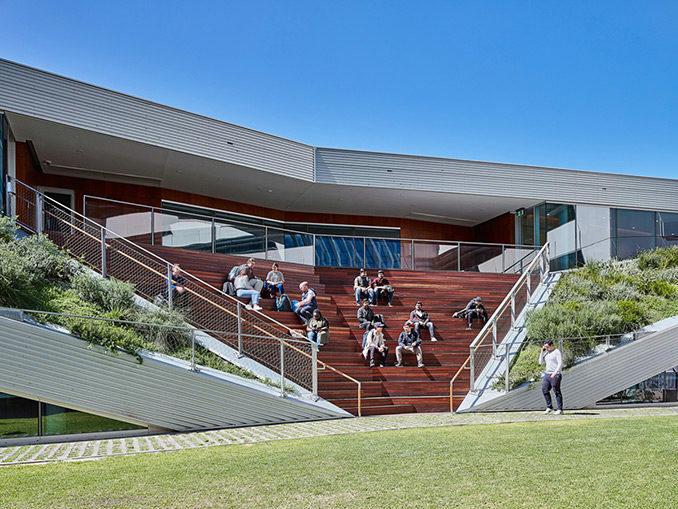 The hall and landscape welcome the public, providing an accessible external public realm including an amphitheatre and green terraced areas for students, visitors and community alike. 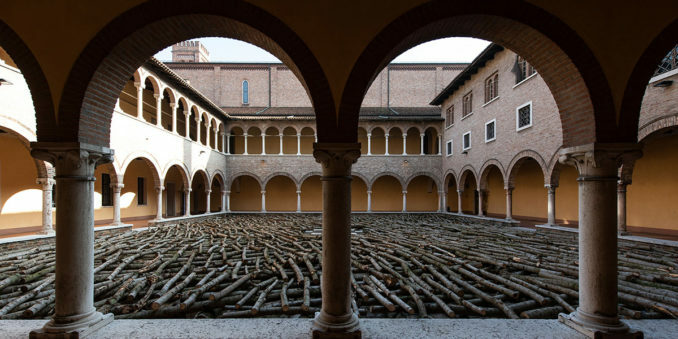 The inclusive nature of the public interface invites participation and engenders a genuine sense of community ownership and engagement, making visible the vibrant cultural life of the University.